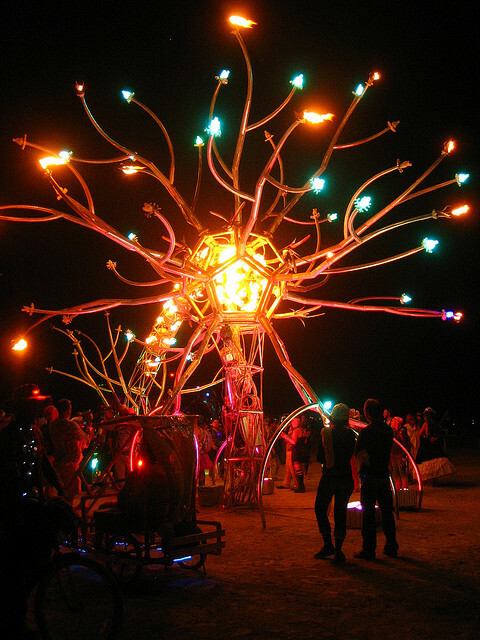 Soma is a sculpture by the Flaming Lotus Girls which translates the anatomy of a neuron to a monumental scale. 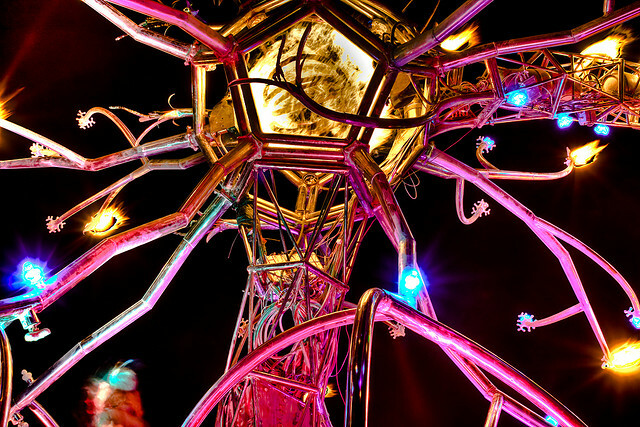 This interactive sculpture is brought to life by LED lighting and flame effects which represent the communication between neurons and larger patterns that emerge from those communications. 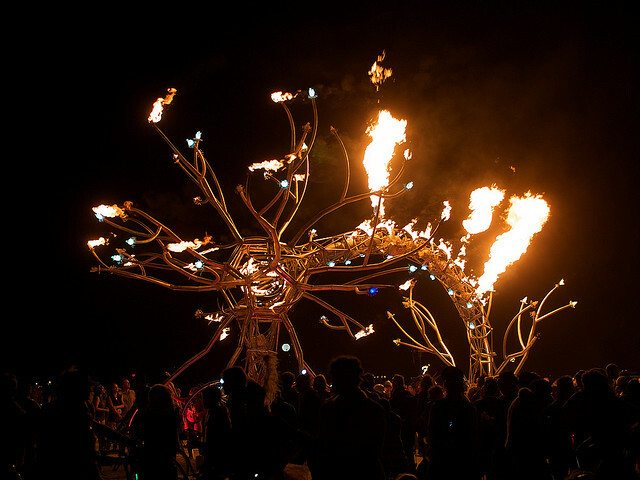 More photos and information available at flaminglotus.com. 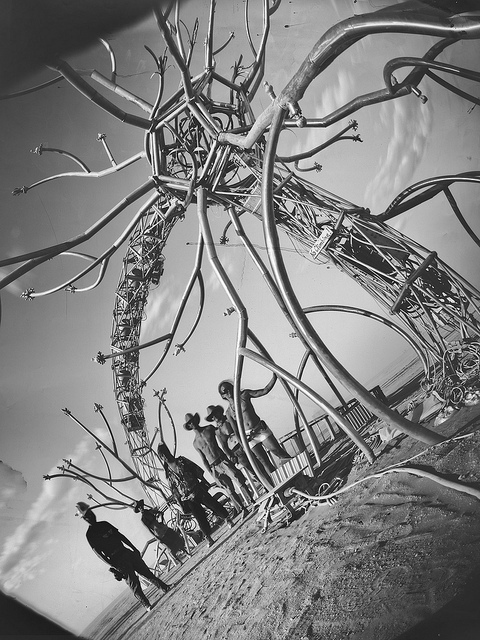 Photos by Julianne Vithoulkas, nectarous, Jason Chinn, and Rubin Starset (rubin.starset.net). .